Smriti Mandhana, who will captain India in their three-match T20I series against England, said that winning the World Cup is her main goal. After becoming the number one ranked batter in ODIs last month, Smriti Mandhana has now set her eyes on winning a World Cup for her country. Mandhana said that now that she has reached the top, her aim is to remain there and guide her team to victory in the big tournament. “As a kid when you start playing, you always think of winning the World Cup. Obviously, there are individual targets like, getting to ICC world no.1 spot. And reaching there was really pleasing but now I have to work even harder. 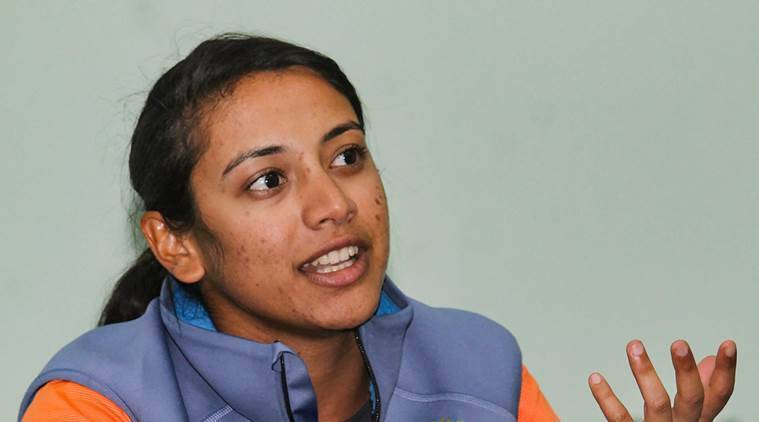 To stay there is much more important than getting there,” said Mandhana, who will be leading the team in place of Harmanpreet Kaur in a three-match T20I series starting on Monday. The next 50-over World Cup will be played in 2021 but the Women’s World T20 will be played in early 2020. Mandhana said that while getting to the no.1 position in the rankings was a “small target” winning the World Cup will always be the big one. “As a batter the most important thing is to reach the ICC world no.1 position. Definitely it was one of the small goals for me, but my major goal is definitely to win the World Cup,” she added. Mandhana said that India, while are looking to try new faces in the upcoming series and finalise a core group for the World T20, beating England in the rubber carries paramount importance. “Definitely we are looking to win the series and not just trying out new faces. We really have a very exciting team. It is important for us to believe that we are going into the series to win it rather than experimenting,” she said. “First goal is to win the series and if we can achieve that we will definitely be able to find new faces for the World Cup. It would be much easier rather than thinking the other way. Me and Raman sir (coach W V Raman) have spoken about the things which we lacked in New Zealand tour and the way our batting order will be shaping for the next World Cup. So, it’s a really exciting time because we have such a young side. We will have to wait for 6-8 months to see where all the players are,” she said. Mandhana said that her approach doesn’t change much despite being given the captain’s role. “The preparation won’t change because as a vice-captain for the last 2 years I have been attending all the meetings of strategy. I know already what we are going to do before the match when I was not the captain. But I will make extra effort to speak to bowlers,” she said. “I have been playing under a lot of captains in the last 4-5 years and I have tried to learn everything from them. I don’t really like to mix captaincy and batting…as it will complicate me more,” she added.